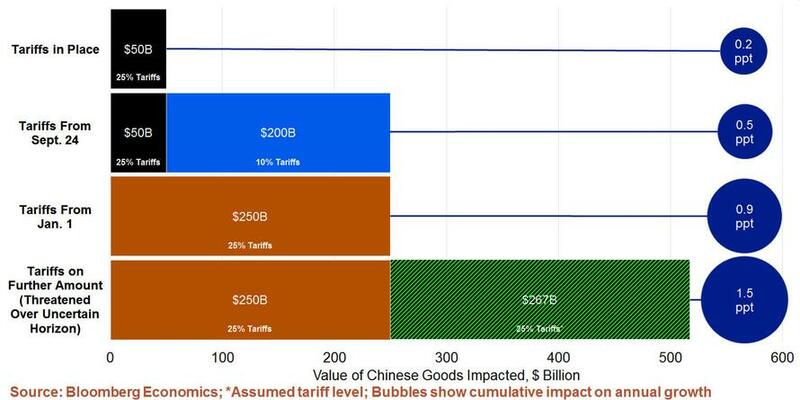 This confirms that "the trade war is now a reality," according to Fitch chief economist Brian Coulton. But to make matters more complicated, traders woke up on Monday to a new piece by Axios claiming that the Trump administration is planning to unveil "a major, 'administration-wide,' broadside against China" during the coming weeks. The broadside will reportedly include revelations of further Chinese malfeasance regarding China's "hostile actions" against the public and private sector involving China's "cyberattacks, election interference and industrial warfare (the Trump administration's term for China's IP theft practices)." Step aside Russia: the US is preparing to accuse China of election tampering, meaning that there will soon be another "bogeyman" to whip up public hysteria about untoward foreign influence just weeks before the midterm vote. The push will be led by senior officials on the National Security Council, as well as representatives from the Treasury, Commerce and Defense departments. "We're not just going to let Russia be the bogeyman," one White House official told me. "It's Russia and China." "The push is coming from the national security apparatus," the source added. "Cyber theft has been appearing more often in the PDBs [President's Daily Brief]." It could be that Trump believes taking a hard line on China will win Republican votes during the midterms (after all, it worked the first time). The white paper from China’s cabinet stopped short of making new trade threats against the U.S., according to the summary. It pushed back on some specific concerns from the Trump administration but said China said it always answers American concerns with the greatest patience and good faith. The report described the Trump administration’s “America First” policy as an abandonment of norms of mutual respect and consultation. "Rather, it has brazenly preached unilateralism, protectionism and economic hegemony, making false accusations against many countries and regions, particularly China, intimidating other countries through economic measures such as imposing tariffs, and attempting to impose its own interests on China through extreme pressure," the white paper said. "American companies in China have received huge returns through technology transfer and licensing, and are the biggest beneficiaries of technical cooperation," the report said. And as China scrambles for every bit of leverage that it can use in a trade war that would allow it to avoid weakening its currency or selling its Treasury holdings at a loss, Axios added that China Daily, an English-language publication owned by the Chinese government, took out four pages of "sponsored content" in Sunday's Des Moines Register highlighting the negative repercussions of Trump's trade war (to wit, the bulk of the negative impact from the tariffs has been borne by US farmers). With Trump headed to the United Nations General Assembly on Monday, expect these tensions to fester for the coming six weeks until a G-20 meeting in November. “The Trump administration must get its position straight though -- what does it want from China, and who is empowered as a negotiator by President Trump to bring the deal home? Unless that happens, serious negotiations will be impossible and the likelihood of continued escalation increases,” Alden said.